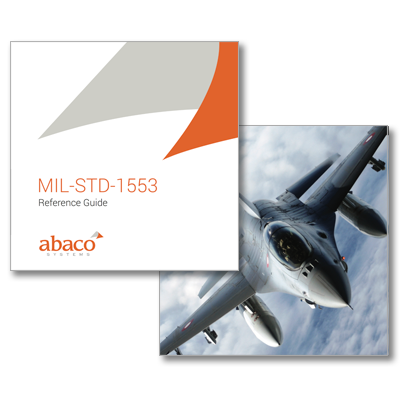 MIL-STD-1553 Reference Guide February 2017 This MIL-STD-1553 reference guide provides an explanation of each part of MIL-STD-1553B on a clause-by-clause basis. Each clause of the Standard is presented for completeness together with appropriate explanation or interpretation wherever necessary. This standard contains requirements for a digital time division command/response multiplex data bus for use in systems integration. Even with the use of this standard, differences may exist between multiplex data buses in different system applications due to particular application requirements and the designer options allowed in this standard. The system designer must recognize this fact and design the multiplex bus controller hardware and software to accommodate such differences. These designer selected options must exist to allow the necessary flexibility in the design of specific multiplex systems in order to provide for the control mechanism, architectural redundancy, degradation concept and traffic patterns peculiar to the specific application requirements. 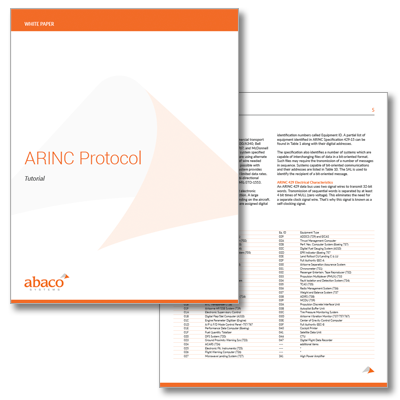 ARINC Protocol Tutorial January 2017 This document provides an overview of ARINC 429 and other ARINC protocols. ARINC 429 is the most commonly used data bus for commercial and transport aircraft. This document explains the origins of the ARINC Corporation, the data bus specification and where ARINC 429 is used. Then it summarizes the principal electrical and data characteristics, which are defined in the specification. MIL-STD-1553 Tutorial August 2016 MIL-STD-1553 is a military standard that defines the electrical and protocol characteristics for a data bus. A data bus is used to provide a medium for the exchange of data and information between various systems. It is similar to what the personal computer and office automation industry has dubbed a Local Area Network (LAN). 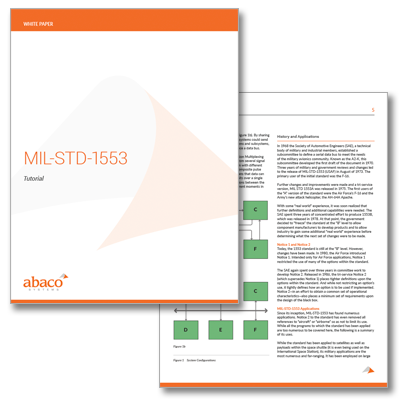 This guide provides an introduction to the MIL-STD-1553 data bus, its history, applications, and use. 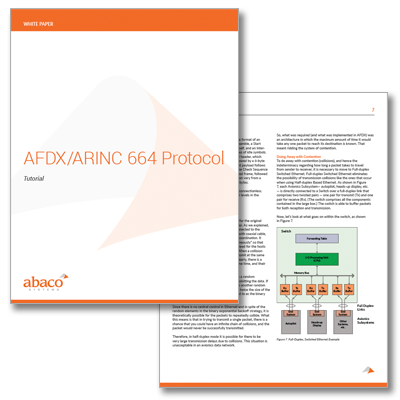 AFDX/ARINC 664 Protocol - Tutorial June 2016 This 24-page tutorial provides an in-depth technical review of AFDX protocols and implementations. One thousand times faster than previous ARINC 429 communications, Avionics Full DupleX Switched Ethernet (AFDX) builds upon the original AFDX concepts for using Ethernet in avionics, as introduced by Airbus. AFDX defines the electrical and protocol specifications (IEEE 802.3 and ARINC 664, Part 7) for the exchange of data be­tween Avionics Subsystems.